Always wanted to write a marketing plan but don’t know where to start? Then read about how to create the perfect marketing plan, in 10 easy steps, below. Producing a good marketing plan is a great way of taking a step back from your business, reaffirming your objectives and the direction your business is heading in and therefore a crucial part of your businesses on-going success. I’m often told by my clients that they’ve been looking to implement a particular piece of marketing for some time, but didn’t have the time or knowledge to make sure it was carried out effectively. Other’s recognise that marketing is so integral to their continued business success that they need to plan and budget their activity to not only help them target customers at key times, but keep a control on costs and measure the ROI of any spend. 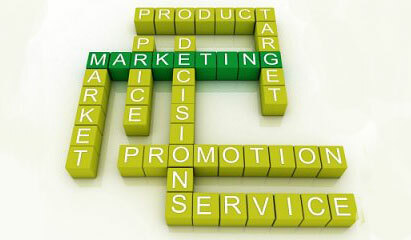 What does a good marketing plan include? A good marketing plan starts by looking at your overall strategy. It builds on your own strengths and weaknesses, to work out what your marketing strategy should be. It sets out clear objectives and explains how you will achieve them. Perhaps most importantly it looks at how you can ensure your plan becomes a reality. A good plan also allows you to know what is happening when and all production of materials can be organised more efficiently. 1. Take a step back and some time out to do it properly. In my experience this helps produce a more effective plan. 2. What are the key elements? 3. How do I make my marketing plan worthwhile? • What are their specific product needs and behavioural patterns? • Do emotions drive purchase decisions and why do people buy what they do? • What are their thoughts, options, wants and needs? • What other products/services are they interested in? • What do they think of these products/services? Research also provides a good opportunity to clean current customer data and collect new email addresses for use in future marketing. It’s vital you establish what your business and marketing objectives are to provide direction for your plan and targets you can measure results against. For example, a business objective may be reaching a particular turnover by a certain date. A marketing objective helps reach the overall business objective, so this could be to meet customer needs using information available to maximise sales and profits, raise awareness of your products and services and so on. This ties in with point 4. Without a clearly identified group or groups of customers/prospects most likely to purchase your products/services, you will never meet any marketing objective. 7. What are your competitors up to? Questions to ask here include: What are their strengths and weaknesses? Does their service or pricing differ to yours? What markets are they focusing on? You’ll probably know SWOT stands for Strengths, Weaknesses, Opportunities, Threats. But have you carried out a SWOT analysis for your business? It’s an interesting and enlightening exercise and a crucial part of any marketing plan. You may find that other key objectives are added to your list as a result of undertaking this analysis. 9. What is your company/brands/product’s unique selling point (USP)? Can you sum in a sentence your unique offer? What sets your business/products/service apart from your competitors? Once this is identified, your USP will be a key part to the success of any marketing campaign. As part of this activity plan, dates should be entered so all marketing activity can be measured and reviewed. Monitoring your marketing results will help you manage, measure and improve your return on investment (ROI). So, follow these guidelines and give it a go. I’d love to hear from you and about your experiences. If you need more help you can call me, for free, on 01603 901512.